One of my close friends who is a flight attendant in one of the worlds' prestigious airlines asked me how do I afford to travel despite all, when she said despite all she meant my university studies which I personally support, my two other sisters which we sent to school and the house we pay for our mom together with all the other monthly expenses while working here in Manila. It was surprising to hear it from someone who've been travelling around the world for more than three years now but I knew she needed an answer. So I asked her, what do you think will make all your travels expensive? She answered food, bars and accommodation. So that goes my answer, food, bars and accommodation. I cut some saving from food, not that I let myself starve but I always ensure to look for a reasonably priced food house. Next to that is the bar which is good because I never hit them most of the time and would always choose to avoid or at least spent a minimum amount on alcoholic drinks and beverages as sometimes they are overly priced on places that are known to tourists. Lastly is the accommodation, a drastic change to my preference from the time we first traveled compared to the choice we have these days. From hotel rooms to a home-stay or fan room accommodation, it cuts down the price from half to three fourths. Looking back the normal three days two nights stay of 7,000.00 to 1,500.00 that is way too far. 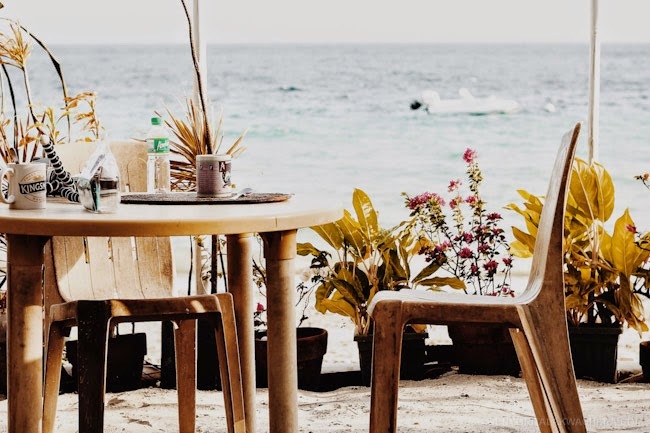 Perhaps it's the greatest lesson that I've learned so far, when you have enough budget, you don't have to spend it all on that particular trip, you always have a choice to spare some for your next trip which will enable you to afford for another vacation just right after another. For hunting a place to stay, I currently consider two important things, first is cleanliness and comfort room. 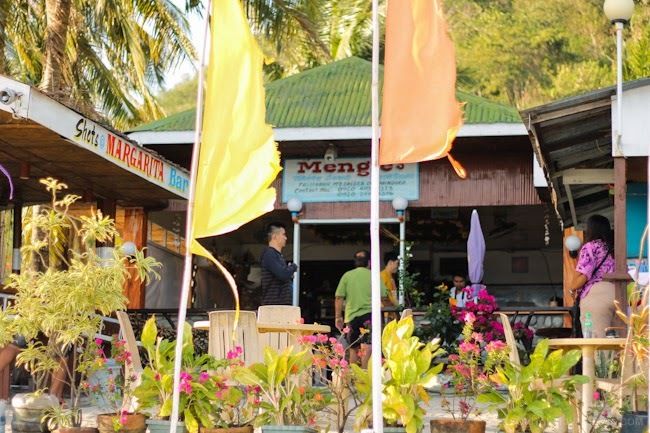 Very basic, one of the best example was Mengie's White Sand Beach Resort in Talipanan Beach, Puerto Galera. 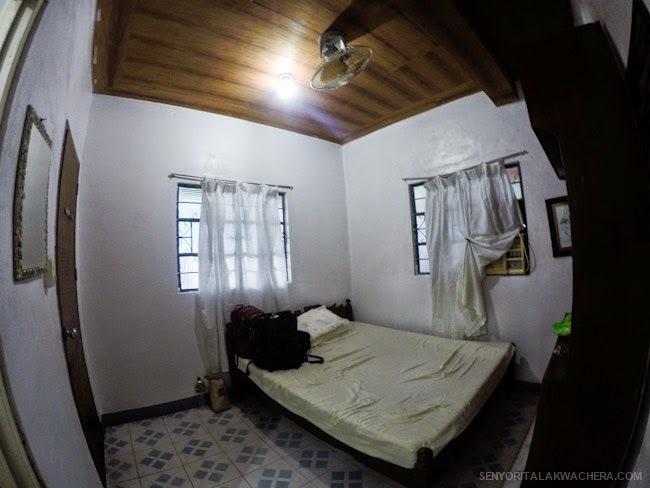 They're the only place we've called that sticks to their old rate, which starts from 700.00Php per room, per night, almost twice lower than the standard rate of 1,300.00 around that beach. 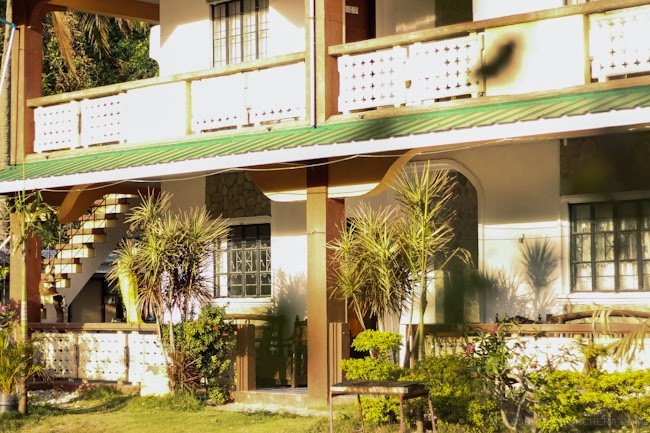 It was such a great saving to us having to choose it over the others as we are staying there for four nights which cost us 2,800.00 and was able to save the same spare amount. 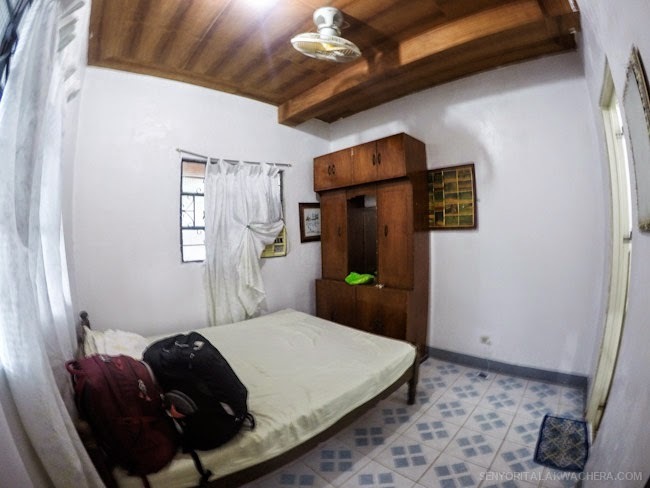 Mengie's White Sand Beach Resort was a very basic stay, you have your bed, a cabinet where you could place your stuff, a mirror, a ceiling fan and functioning bath. The place was a bit short of maintenance which makes it look a bit disordered but its all okay and considerable with the cost you pay. Important thing is the mattresses which have to be neat and the bathroom that must be fully functional which it all was. What I like most about this place? First was the very nice and friendly staff. Second was their restaurant that serves home cooked dishes. We spent most of our meal there and Marg (she's the owner) cooks very well. I enjoyed each meal we had at their restaurant, meals are well priced and comes in a generous serving. 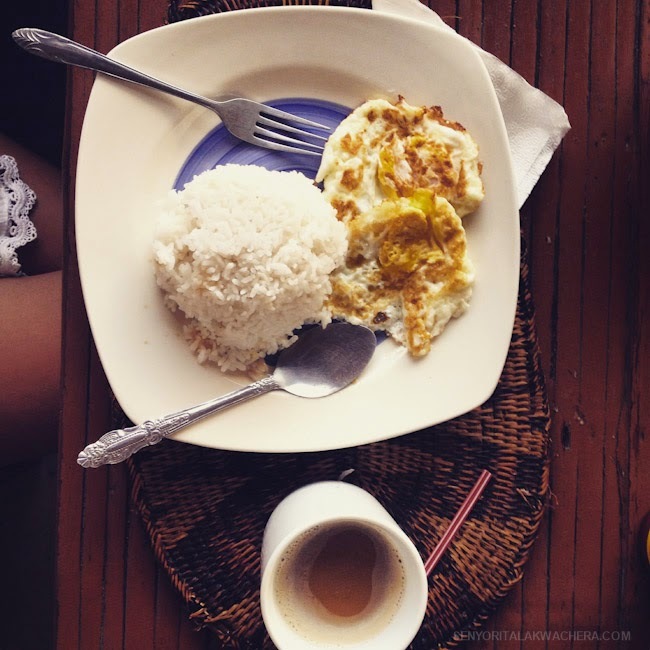 So that's hitting two birds at the same time, affordable stay and good food.